You are here: News / Vegas and Beyond: What's In Store For The Backstreet Boys Next? Vegas and Beyond: What's In Store For The Backstreet Boys Next? Can you believe there’s only 3 shows left for the Backstreet Boys in Vegas this Summer? We can’t. But if you think you’ll be seeing less of the Boys, think again… because they’ve got big plans! After their one off show with 98 Degrees on August 18th in Oklahoma, Kevin, Howie, Brian, AJ and Nick are working hard to release another single before their album release in the Fall. 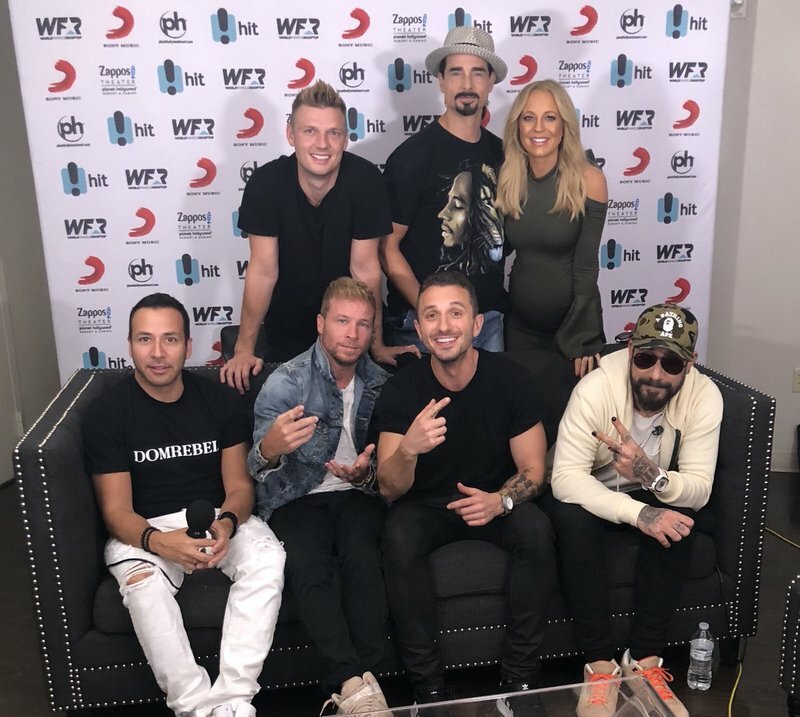 “We want to make a world class record and we’ve got some bangers,” Kevin Richardson told the Carrie and Tommy Show last weekend before performing a small private show for 60 Australian fans who had been flown over to the US after winning a flyaway contest in their country. In the same interview, the Boys also reveal their tour plans and Howie’s plan for mankini-wearing once they head back to Australia! The conversation about their Vegas shows and the upcoming album continued this morning when Nick and Howie visited Mix 94.1’s Mercedes In The Morning and 98.5 KLUC before having breakfast with a few lucky fans. “We love our fans. They’re the best in the world,” Nick Carter stated during one interview, also adding that while Vegas has been good to them and they have loved the opportunity, the Boys can’t wait to get back on the road to see fans who haven’t been able to make it to the show. When asked if they had any advice for Lady Gaga, who announced her Vegas residency the same morning, Nick gushed that she is a “great performer” and would “have no problem putting on a great show”, but that performing on the Strip is a challenge and definitely makes you step up your game. Make sure you catch your Boys stepping up their game in Las Vegas before it’s all over in April! Tickets and VIP on sale now.